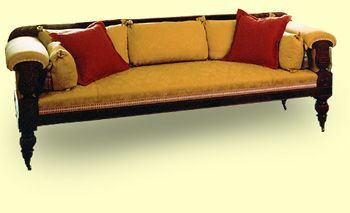 The Boston Empire Sofa is fashioned after a design in Ackerman's Repository. The original it is copied from is in the collection of the Boston Museum of Fine Arts. The seat height is 20" and the arm height is 31".